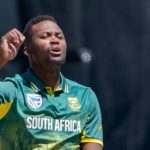 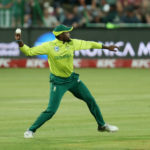 KFC Mini Cricket changed the life of Proteas all-rounder Andile Phehlukwayo and he is excited to encourage children through KFC’s Meet the Proteas on Tour initiative. 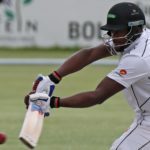 If one of the openers had fallen during the demolition of Bangladesh in Kimberley, Andile Phehlukwayo was tagged to be next man in. 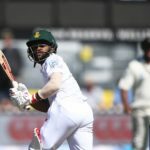 The Proteas lost the toss and were again invited to bat in the second Test against Bangladesh in Bloemfontein. 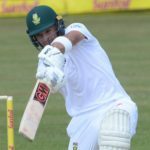 Bangladesh weathered an early storm to go into lunch at 218-4 on day three of the Test in Potchefstroom. 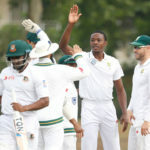 Back with home comforts, the Proteas have the chance to redeem themselves in the first Test against Bangladesh. 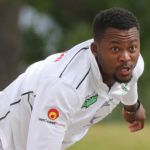 Andile Phehlukwayo’s fighting 62 in helping the Dolphins save the Sunfoil game in Centurion could not have come at a better time.